From “an extravagantly gifted writer who deserves to be widely read” (Rachel Cusk, The Telegraph), this intimate, quietly stunning novel tells the story of a young American expat who settles in Ireland in the late 1980s, marries, and lives through the consequences of an affair. 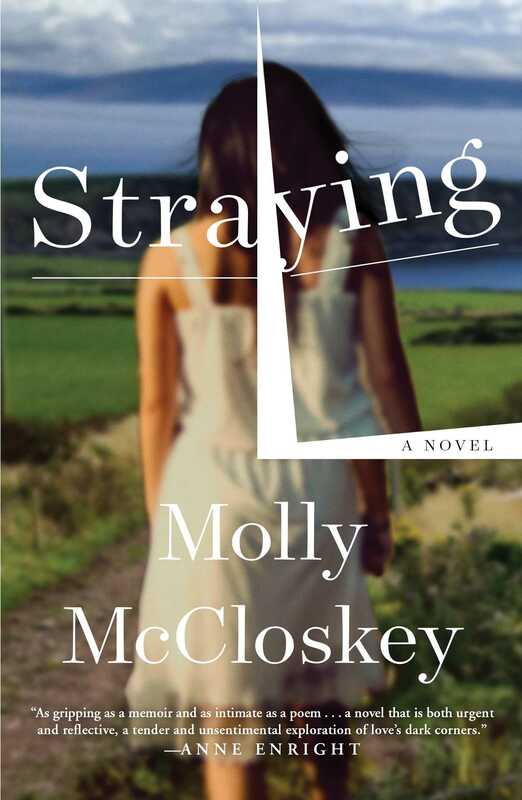 “Molly McCloskey is one of Ireland’s finest writers” (Colum McCann) and Straying is at once a gripping account of passion and ambivalence and an exquisite rumination on the things that matter most: the definition of love, the value of family, and the meaning of home. HOW DO PEOPLE do it, I used to wonder. Well, I learned. That sort of secret feels like an illness, the way the world slows to a crawl as though for your inspection. So much clarity and consequence—it was like enlightenment, it was like being in the truth, which is a funny thing to say about deceit. One afternoon at the close of that sweltering summer, when Cauley and I were still in our trance, I found myself traveling west with him by train. I say I found myself not to suggest some condition of passivity—I was the one who’d insisted we make the journey—but because when I look back, I have the sense that I’d come suddenly to consciousness right there, on that bockety old orange-and-black train, as it made its clamorous way across the countryside. We were standing between carriages, jostled by the train’s motion. A wheaten light streamed through the open window; fresh air was flooding in, too. The day’s heat was fading to a sweet residue. We braced ourselves against the wall, drinking bottles of cold beer and sharing a Silk Cut. Those were the days when no one minded if the air was fouled with smoke, the days when you could slide down the window in the door and hang your head out, happy as a dog. I pressed my lips to Cauley’s neck, which was cool and sticky. Cauley was fair, and in the heat his skin got clammy as a baby’s. Together we watched the country slide past in frames. The fields, green and empty, or full of sheep who didn’t stir when we whooshed by. Then patches of weedy, cracked tarmac surrounded by chain-link fences. Then the back gardens of houses, with their propped bikes and their coal bunkers and the flotsam of family life. And then all was green again, and there were cows where sheep had been, and a breaker’s yard, and a bungalow sitting proud on a hill. We leaned out the window and the wind whipped over our faces, and I felt as alive and unencumbered as if we’d hopped a boxcar. I was married at the time, but not to Cauley. This reading group guide for Straying includes an introduction, discussion questions, and ideas for enhancing your book club. The suggested questions are intended to help your reading group find new and interesting angles and topics for your discussion. We hope that these ideas will enrich your conversation and increase your enjoyment of the book. Intimate and quietly stunning, Straying is the story of Alice, a young American raised by a single mother who finds herself in the west of Ireland in the late 1980s, where she meets and marries an Irishman. One summer, a chance encounter with a charismatic playwright leads to an affair that upends her life. Years later, having worked in war zones around the world, and following her mother’s death, Alice returns to Ireland and confronts her past. Straying is a searing account of passion and ambivalence and a rich exploration of how we define love and desire, family and home. 1. In the very beginning of the book, Alice immediately admits to having an affair. Why does she share this information right away? What kind of relationship is she trying to establish with the reader? 2. On page 26 Alice says, “For as long as I could remember, there’d been a vague disquiet in me, as if I lived in the shadow of some humiliation whose particulars I could not recall.” What does she mean? How does this revelation explain some of Alice’s actions? 3. What do you think about the structure of the novel? Why does the author switch between past and present? 4. On page 37, Alice says that she remembers impressions, images, and people “who were more interesting as symbols than as individuals.” What does she mean? What does this reveal about her? 5. Alice very much admires and respects her mother, particularly her decision to be a single mother when she got pregnant by a man she didn’t love. How does Alice’s relationship with her mother influence her decisions? What impact does Alice’s father have? 6. On page 74, Eddie tells Alice a story about a man who was having an affair. Why do you think Eddie told Alice this story? Do you think he suspected Alice of having an affair, even though she was still faithful at that time? How do you think he expected Alice to react? 7. What do you make of Alice’s job working in war zones around the world? How does it change your opinion of her? What purpose does Alice’s relationship with her colleague Harry serve? 8. Why do you think Alice decided to cheat, and how does she rationalize her decision? Read and discuss from “I’d wanted to gather him in” on page 116 to “I must’ve thought about little else that summer” on page 117 in which Alice reflects on what she wanted from the affair. 9. Why do you think Molly McCloskey wrote the novel in first person? How would it have been different if written in third person? 10. Why do you think Alice must constantly push boundaries, first with her marriage and then with her relationship with Cauley? 11. How would the novel be different if the narrator were a man cheating on his wife, rather than a woman cheating on her husband? How does the novel engage gender roles? How does it challenge our different expectations and judgments of men and women? 12. Why do you think Eddie showed up at Kevin’s to retrieve Alice? If he already knew she was having an affair, why didn’t he broach the subject sooner? 13. Why do you think Alice wanted to return home and revisit this moment in her life? 14. How does your impression of Alice change throughout the novel? Were you able to understand her motives? 1. Compare other beloved novels involving extramarital affairs—Desperate Characters by Paula Fox, Dept. of Speculation by Jenny Offill, The Forgotten Waltz by Anne Enright, or Brick Lane by Monica Ali, for example. What was different or similar about this novel? Why do you think people are interested in reading about affairs? 2. Imagine Staying is being made into a movie: whom would you cast for the lead roles? 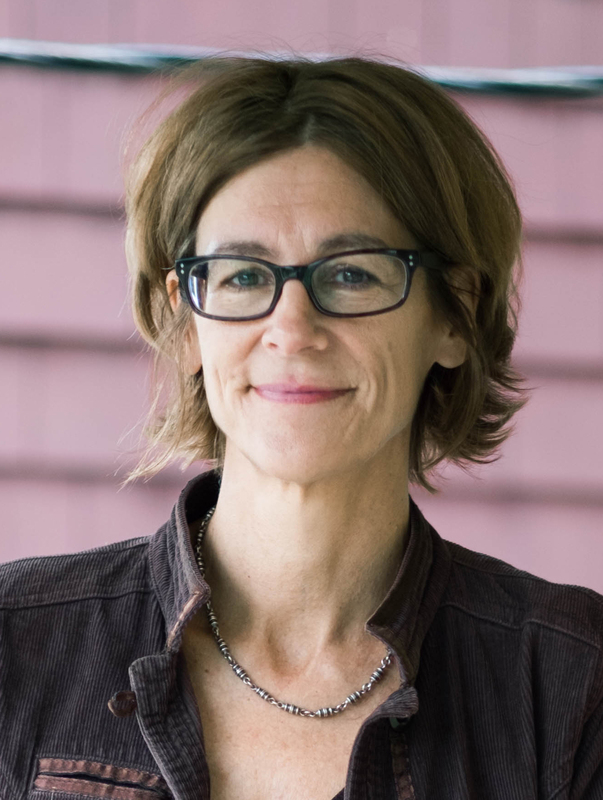 Molly McCloskey is the author of four works of fiction and the memoir Circles Around the Sun: In Search of a Lost Brother. Straying is her first work of fiction to be published in the US. She has served as writer-in-residence at Trinity College Dublin and University College Dublin, and in 2013, she held the Jenny McKean Moore Fellowship at George Washington University in Washington, DC. In 2015, she served as a judge for the PEN/Faulkner Award for Fiction. She is a citizen of both Ireland and the US, and she now lives in Washington, DC. "A memoir-vivid portrait of a vertiginous affair." "Short, intense and emotionally precise ... Such is McCloskey’s powerful control of the novel and meticulous, economical observations, that in little more than 200 pages she can show the exact nature of a life not wasted, but not fully inhabited — Alice ends up with no settled home as an aid worker for refugees — as well as the character of one marriage, of an affair and, not least, of the transformation of Ireland herself." "This dual citizen of Ireland and America doesn’t simply decode cultural mores, or love, or the way grief unfurls over decades. She translates those abstractions into a language all can understand, and in so doing turns her readers into code-breakers of the heart." "This slow-burning novel . . . is a moving meditation on rootlessness and love. . . . McCloskey is a keen, sympathetic observer; her tight, controlled prose meticulously details Alice’s honest consideration of her flaws and desires. The melancholic complexity of Alice’s very human struggle carries this elegant novel with no easy answers." "McCloskey excels ... Elegant prose and nuanced self-awareness, reminiscent of early Edna O'Brien, enhance this intensely focused story of memory and self-imposed loss." "Moving and propulsive ... Perfect for fans of deep-dive character studies in strong, moody settings." "Straying is so sophisticated and yet simply truthful at the same time — the layering is so deftly and well done, Alice trying out all those different lives, trying to find the real one…. Beautifully understated and complicated and generous." "Straying is a powerful and deeply affecting novel in which the psychology of love and the anatomy of adultery are forensically examined. In writing that sparkles with intelligence and insight the ordinary moments of everyday existence are charged with a beauty and tenderness that render them only just bearable. It is a profound reflection on love, loss, mortality and how certain people in our lives – lovers, mothers, friends – alter us, as we slowly, painfully, try to beget our better selves." "McCloskey describes everything with a luminous exactitude ... It’s entirely beguiling." "The tale of an idle transgression turns into a profound meditation on love in this ferociously well-written novel ... McCloskey writes with shattering insight on loss, and the way that it can make us feel tender towards the world." "Elegiac and wistful in its backward gaze, it’s a novel nonetheless light in its touch. Fans of Anne Enright will find much to admire and enjoy." "The writing’s the thing. Oh, the writing . . . McCloskey is the master of the metaphor. There are impressive moments on almost every page." "I was left enchanted, meditative and a little pink and raw from the bracing honesty and precision." “Wherever one has strayed, reading these pages one feels in a familiar place, almost as though one is reading the story of one's own betrayals, one's own loneliness, one's own plunge into the ocean of life."